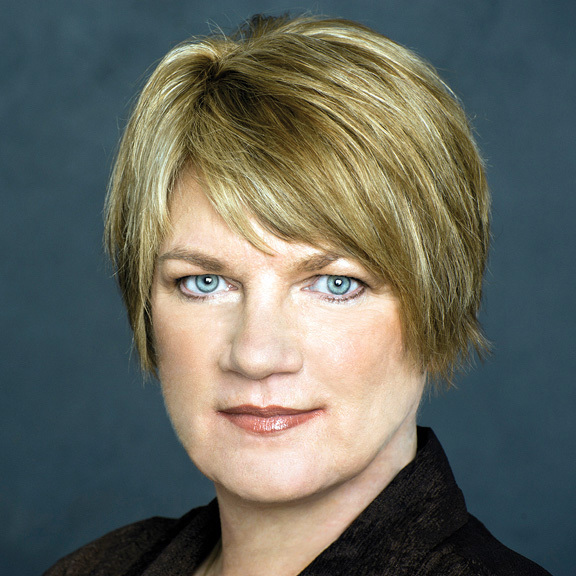 Jeanne Marie Laskas '80, author of best-seller Concussion, says, "Writing is shockingly hard," yet her stories continue to be told in books, magazines and even a major motion picture. Author Jeanne Marie Laskas ’80 might close her eyes and find herself in an unusual situation on any given day. Brrrmmmm! She’ll feel, deep in her chest, the rumble of a jet engine as it passes above her perch, 10 stories up, on the small observation deck of an air traffic control tower at LaGuardia Airport. Or, oomph! She’ll wince as she squishes into a tiny cart, arranges her stiff body and rattles her way into the dark coolness of a Pennsylvania coal mine. Eventually, the warble of birds high up in a tree or the gentle snoring of the pug near her feet at her home in Pittsburgh will break her reverie. She’ll blink, stretch and refocus on her computer screen. Laskas isn’t indulging in Walter Mitty-ish fantasies — she’s reliving the experiences that serve as the stuff of her daily work life. 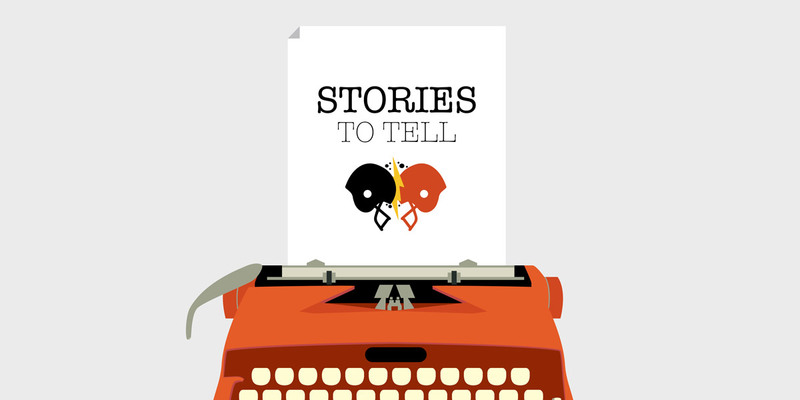 A veteran magazine writer and author of seven books — the most recent of which is Concussion (2015), the story of the forensic pathologist who discovered that repeated concussions could have adverse long-term effects — she first got the journalism bug as an intern at Philadelphia Magazine. “I learned that there could be great adventures in writing for magazines," she says. "You could give in to your curiosity and see where it led you." She saw the field as a perfect match for her SJU education. "We were encouraged to never stop thinking and to always look harder," she says. "That practice ignited me and still influences how I approach my work." As soon as she graduated with her English degree, Laskas started building an “office” in her parents’ basement. “I learned how to put up drywall, I bought a thesaurus and a typewriter, and said, ‘Ok, I’m a writer,’” she laughs. And then she sat there. Until, one day, her best friend at SJU, Marie (Tirico) McCormick ’80 (B.S.) suggested she join her in working at the Archdiocese of Philadelphia, where a position at its teen newspaper, The Hint, had opened. Marie knew her friend, though shy, had what it took to be a good reporter. “Whenever Jeanne Marie would relay the story of something we had done together, she saw it from a much more interesting lens, with so much detail and so many different perspectives, than I did,” she recalls. It wasn’t long before Laskas decided to apply to a graduate writing program at the University of Pittsburgh. The move westward — Laskas and her three older siblings grew up in Media, Pennsylvania — would change her life. She would eventually become a writing professor at Pitt and, later, assume directorship of the program. Through the years, she built a portfolio and perfected her signature blend of experiential, explanatory journalism. After a stint at Pittsburgh Magazine, she began writing regularly for The Washington Post, Esquire and Life, taking readers deep into the worlds of vacuum cleaner salesmen and hot air balloonists. She and her husband, psychologist Alexander Levy, stayed rooted in the Pittsburgh area, buying a 50-acre farm and adopting two daughters from China (Anna and Sasha, now 18 and 16, respectively). These more domestic, personal adventures got her looking inward and provided fodder for a Post column, “Significant Others,” and later, a series of memoirs. "Pulling out that first draft is agonizing, but after that, it gets to be so much fun. That's the payoff." That willingness to stay behind the scenes is a trait she shares with the subject of her fullest portrait, Bennet Omalu, M.D., the Nigerian expat in the Pittsburgh coroner’s office who uncovered the presence — again and again and again — of a new disease in the brains of concussed football players who had committed suicide after suffering from dementia-like symptoms. Dr. Omalu named the disease chronic traumatic encephalopathy (CTE). “Living in obscurity is wonderful,” he thinks. On the outskirts! That’s where he belongs. Just like when he was a kid. Not getting into the fray. He reaches inside his collar, pulls where it pinches. He toggles his tie. This is a full Windsor knot. Many American presidents throughout history wore a full Windsor knot. Bennet thinks Barack Obama should at least try it. But instead Obama goes for the relaxed four-in-hand knot, a much less commanding statement. Bennet keeps all his ties already tied, loosened, in his closet, ready for action. That is the secret to always having a perfect, presidential full Windsor knot. She was pleasantly surprised at the way in which actor Will Smith brought Dr. Omalu to life in the movie. “He really captured Bennet’s nerdy side and his obsession with getting to the bottom of things,” she says. 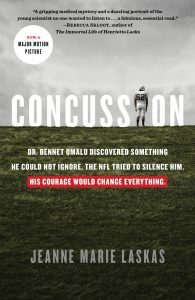 Although the ramifications of concussions on football players have been debated for decades, the conversation has taken on new legs since the magazine article appeared in 2009, after which the NFL admitted a link between head trauma incurred during football and long-term problems. In an effort to limit concussions, the NFL has instituted new rules while players and their families have filed class action suits, living players have begun participating in pilot studies, and, in March 2016, an NFL executive appeared before a Congressional committee and acknowledged a link between football and CTE. Laskas recently found that sort of connection again with a lengthy piece published on January 17 in The New York Times Magazine that followed the Obama White House mailroom staff as it sifted through the 10,000 letters (and emails) that arrived each day and together formed an ongoing narrative of our nation. “I’ve never gotten such an overwhelming response to a story,” Laskas says, adding that President Obama sent her a “breathtaking note” of praise. The article may represent a high point of her career but this modest journalist is onto other projects. There’s a forthcoming book that she characterizes as a work of “historical nonfiction with a memoir component.” There’s her work at the university and even a couple of television shows “percolating.” And, of course, more magazine stories await. At Saint Joseph’s, faculty and student researchers are looking at aspects of the troubling link between chronic traumatic encephalopathy (CTE), a degenerative brain disorder, and repeated concussions. Professor of Psychology Philip Schatz, Ph.D., a neuropsychologist and director of the SJU behavioral neuroscience minor, studies the reliability and validity of the various tools and measures used to assess concussion, especially in youth and collegiate athletes. 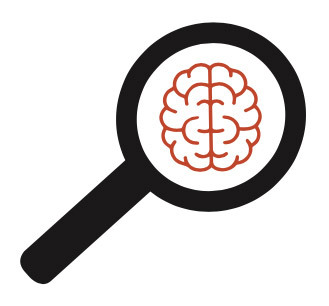 He has published on the topic in academic journals such as the Archives of Clinical Neuropsychology. Most recently, he examined the accuracy of tests used to measure cognitive functions as they keep pace with technology. In the late 1990s, neuropsychologists computerized tests that were previously administered via pencil and paper, Schatz explains. As test measures migrated to computer-based assessment, timing accuracy improved, but many aspects of test administration changed, including giving the tests to groups of athletes at the same time. These adjustments created a paradigm shift, leading to research on group testing, the accuracy of computer-based timing and the reliability of the new test versions. Now, they’re asking athletes to do the same via touch tablets such as the iPad. Biology major Brant Edmonds, a senior research fellow at the SJU Institute of Clinical Bioethics, is also interested in more readily diagnosing incidences of CTE, particularly in youth athletes. In a recent paper published in the Internet Journal of Pediatrics and Neonatology (Feb. 8, 2017) and coauthored with medical bioethicist Peter Clark, S.J. ’75 (B.A. ), the Institute’s director, Marvin Lee, Ph.D., the Institute’s bioethics consultant, and Brandon Eck, D.O., of Suburban Community Hospital in Norristown, Pennsylvania, Edmonds advocated for research that will help parents and students learn more about the severity and likelihood of, and recovery from, brain injuries. “We are convinced that increasing awareness and providing guidelines on what questions to consider will really help,” he says.